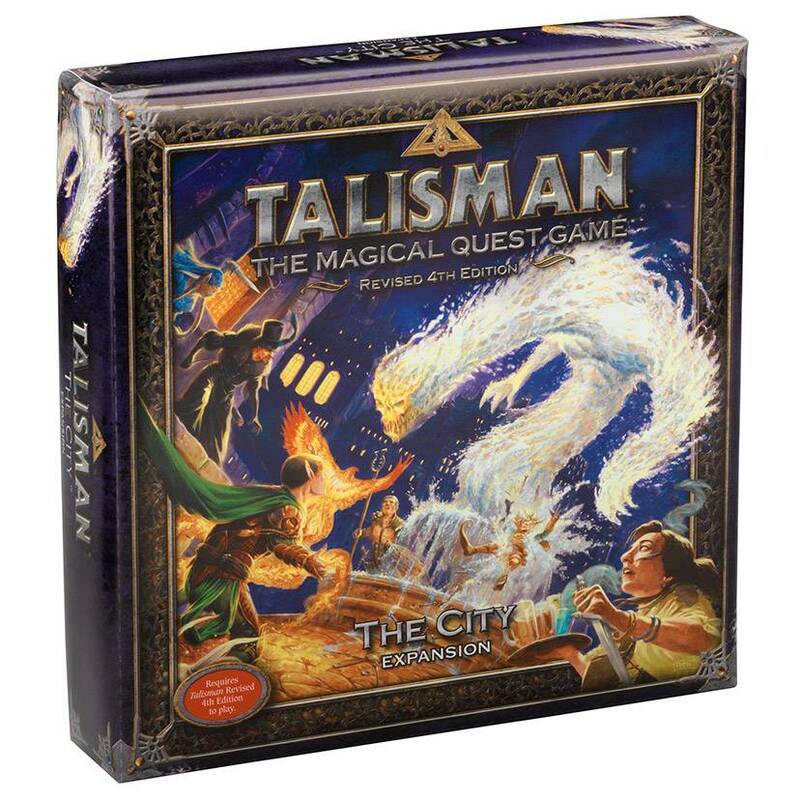 The City, a Region expansion board for Talisman, provides players with three alternative endings, its own deck, a host of shops for all your questing needs, and six new characters. Collect bounties listed on the Wanted Posters at the City Gate and fill your pockets with gold before doing some serious spending. Secure a steed from the Stables, pick up Pets or Potions, or head to the Armoury and the Magic Emporium. Visit The City in Talisman as you compete for the Crown of Command!